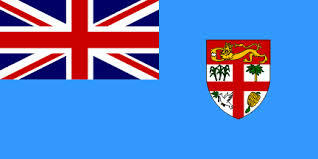 Fiji will mark its 43 years of Independence this Thursday with celebrations planned in the major divisions across the country. In Suva, the President RatuEpeli Nailatikau will be chief guest at the celebrations which will be held at the Albert Park with the trooping of the colors by the Fiji Military Forces. Celebrations in Labasa, Lautoka and Levuka, will feature entertainment and displays by both government and the private sector. This year’s theme is “Moving together in Unity to ensure a prosperous Fiji” and all Fijians, those living here and those abroad are being urged to celebrate Fiji Day by spending it with friends and families. A walk through the major town and cities indicate the increasing level of patriotism with blue and white flags, T-shirts, banners plastered all around. But, not many are too happy with the Public Holiday falling on a Thursday as it just could turn out to be a very unproductive Friday when people return to work from the Fiji Day celebrations!